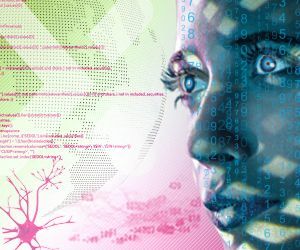 Artificial intelligence (AI) is the science of creating computer programs with human-like cognitive skills, such as recognizing patterns or drawing conclusions. It is a digital disruption, which has penetrated most industries and services replacing human with machines in an increasing number of tasks. The economic potential for the firms that produce the technology is explosive. Tractica, a market intelligence firm, forecast in December 2017 that annual worldwide software revenue from AI technologies will grow from $3.2 billion in 2016 to $89.8 billion by 2025 (1). Businesses that adopt knowledge-based systems in their operations will accelerate sales and lower costs. In 2016, these adopters invested between $26 billion and $39 billion in AI, according to McKinsey & Co (2). For investors, accessing the AI megatrend has been a difficult task. There is a plethora of AI-driven companies and start-ups, which may or may not be the next Apple or Google. Investors need the right concepts based on transparent criteria to help them discern a media hype from an investable and promising opportunity. To generate accurate exposure to AI’s business impact, STOXX launched two transparent AI concepts: a thematic approach based on revenue exposure and a progressive concept tracking AI innovators selected by AI technology. The STOXX AI Global Artificial Intelligence Index selects companies from a wide range of industries that invest heavily in the increased development and adoption of AI-related technologies, via an innovative selection process that relies itself on an AI system. The STOXX AI Global Artificial Intelligence Index is available in two versions that employ different liquidity filters. In addition to the innovative AI index based on AI, STOXX also launched the STOXX® Global Artificial Intelligence Index, which includes companies with a revenue exposure above 50% to AI-related sectors. 1 Tractica, ‘Artificial Intelligence Market Forecasts,’ Dec. 21 2017. 2 McKinsey Global Institute, ‘Artificial Intelligence – The Next Digital Frontier?’, June 2017.